We are a small organisation based in León, Nicaragua which promotes sustainable development in rural communities. 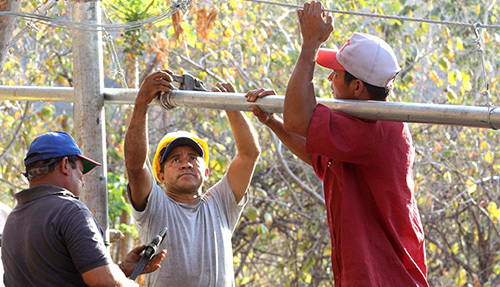 Our local team of mostly Nicaraguan staff includes experienced professionals who cover a range of disciplines including civil engineering, logistics, hydrogeology, environmental science, agroecology, education, pastoral ministry, IT and non-profit management. 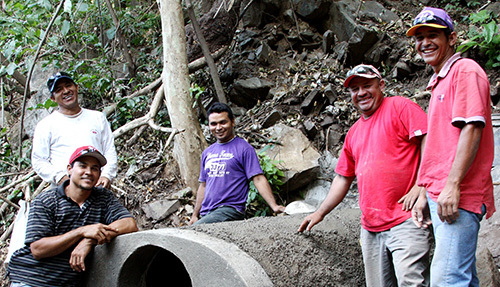 Nuevas Esperanzas provides practical and technical assistance to communities in Nicaragua as they seek to establish sustainable livelihoods which lift them out of poverty and encourages transformational development at all levels of society. 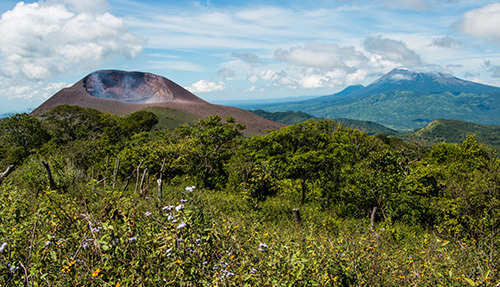 A beautiful land of lakes and volcanoes with a rich cultural heritage, Nicaragua is one of the poorest countries in Latin America and has a long history of exploitation, dictatorship and civil war. Nicaragua is also a country that has been repeatedly devastated by natural disasters, including the Managua earthquake of 1972 which killed an estimated 10,000 and Hurricane Mitch in 1998 which killed at least 3,500.